PALS Place will save all victims of domestic violence. 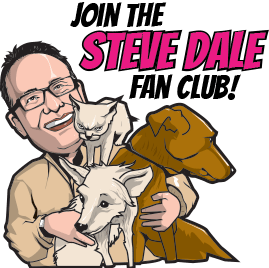 Nat Fields, president and CEO of the non-profit Urban Resource Institute (URI) in New York City reveals big plans to save both animal and human lives on Steve Dale’s Pet World. URI is the largest provider of domestic violence services in America, and for some time have included pets in shelters. However, PALS Place is being built from the ground up with pets in mind. The assumption is that nearly all the residents there will have a pet. When there’s abuse to animals, there’s likely to abuse to people as well. And people won’t leave the awful situaiton they’re in without somewhere to flee with a pet. And there are few places to go with the pet, ’till now. Some animal shelters do have programs to temporarily house or foster pets who are in homes where domestic violence is occurring, but for many families (especially with children) the pet is the only constant they can depend on for daily love. At a shelter, if enough time passes by, the pet may be adopted. That new home may be – perfectly wonderful, but they’ve lost their pet. And there’s always a concern that the pet may be euthanized. In any case, they’ve done nothing nothing wrong – and now they need to give up their pet. PALS Place, opening later this year, will be an alternative to that. After all, taking the pet with the family once they’ve escaped domestic violence also helps to support the healing process for the entire family. 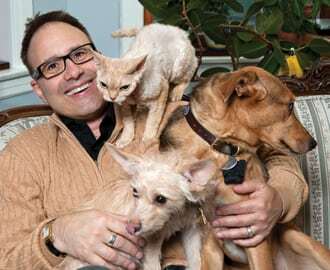 Purina has lended their expertise to make this happen. 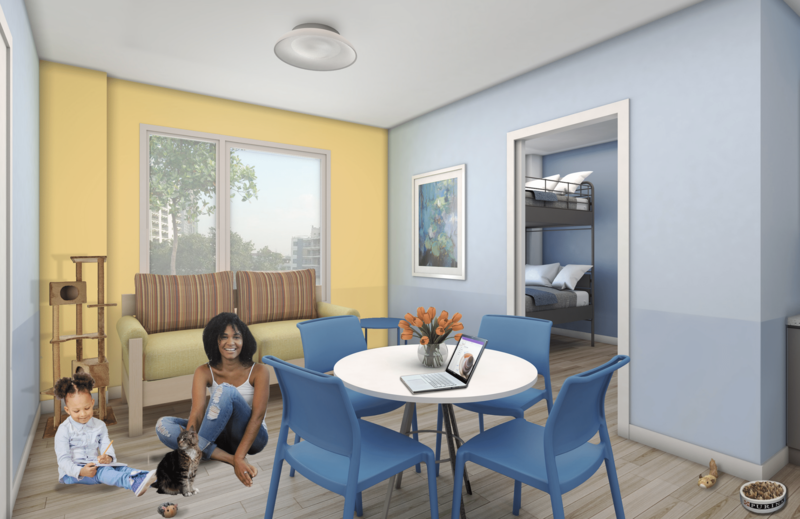 After all, as Fields says, “People and pets are better together.” PALS Place will be the first of its kind, built from the ground up with pets in mind. More HERE about Urban Resource Institute and a link to a Facebook live event, filled with domestic violence experts, where the announcement was first made.